HENDERSON, Nev. – As the Galleria at Sunset’s external expansion construction comes to a close, Flemming Larsen – owner of five California dining locations, Larsen’s – is getting ready to begin construction on the interior of his space in the Galleria’s new dining corridor. When considering expansion, Larsen, who serves as president of Larsen’s Restaurant Group, was attracted to Nevada because of its business-friendly environment, dry heat and proximity to California. While Larsen has lived in California for more than 45 years, he knew it was time to make a move. 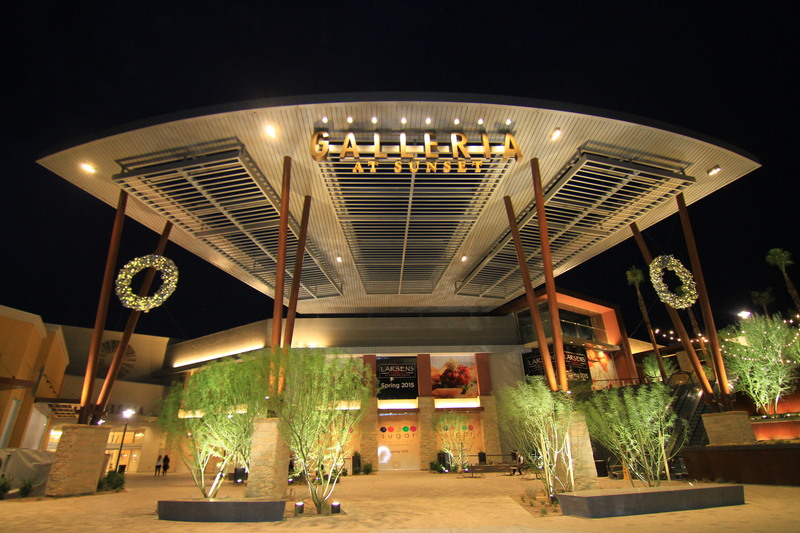 Having worked with Forest City already in California, he knew the Galleria’s new expansion was where he wanted to be. Fromnow through summer of 2015, the new Larsen’s interior at the Galleria at Sunset will be transformed into an American grill complete with wood ceilings, custom-made wood trusses, and butcher block tabletops and bar tops. (Similar to the new Oxnard, California location.) It will also have five slot machines. Upon opening, the locale will serve such fare as USDA Prime steaks and USDA choice wet aged Angus steaks, fresh seafood, sushi rolls, slow-roasted tri-tip, baby back ribs, roasted rotisserie chicken and more. Larsen has been in the food business since 1984, when he became a journeyman meat cutter for Danish American Farms. While at Danish American Farms, he absorbed all the knowledge he could get his hands on and was promoted swiftly through the ranks – meat manager by 1986, assistant store director by 1988, store director by 1990 and store director of Danish American Farms as well as Birkholms Solvang Danish Bakery/Deli/Restaurant (responsible for 300 employees and sales of $25 million annually) by 1991. Larsen also became owner and operator of Birkholms Solvang Danish Bakery/Deli/Restaurant in 1991, kicking off his successful career owning and operating restaurants, diners and bar-grills. A serial entrepreneur, Larsen already has ideas for how he might expand in Southern Nevada. But for now, he is focusing his attention on his first Nevada location at the Galleria at Sunset.